I just returned from an amazing, sun filled week in San Diego. You would think that, living in Canada, I travel to the United States all the time, but I usually go as far as possible when I travel, so I haven’t been to many states. To be fair, San Diego is really far, probably the furthest place in the States from where I live, so it’s not like I stuck close to home this time either! We had originally booked a hostel, but ended up staying in an airbnb house, which was much better. I learned many things on this trip, the most important one being that I’m so done with hostels. I’m a grown-up now, no more sharing a bathroom with 13 people. 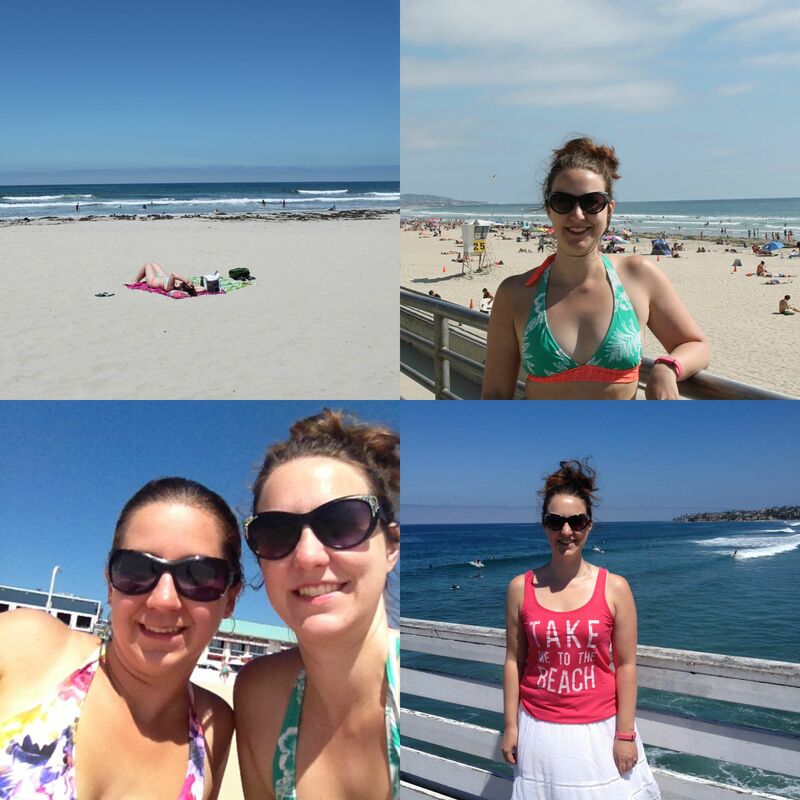 San Diego is a big city, and I’m sure we didn’t see everything, but we did as much as we could, and that included relaxing on the many beautiful beaches! We started with mimosas for breakfast, then we walked and walked and walked (over 21 000 steps, according to my fitbit!) 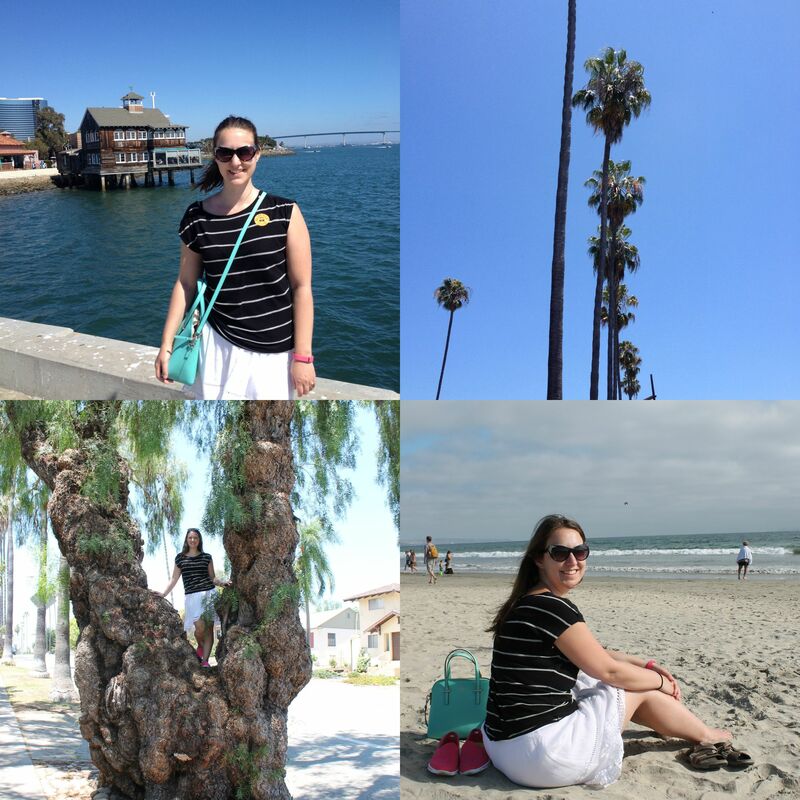 We took a guided tour of the city on a trolley and stopped in several interesting places, including Old Town, Coronado and Seaport village. We went to the zoo! I was so excited! I have a love affair with giraffes and they were amazing. There was a baby giraffe too. 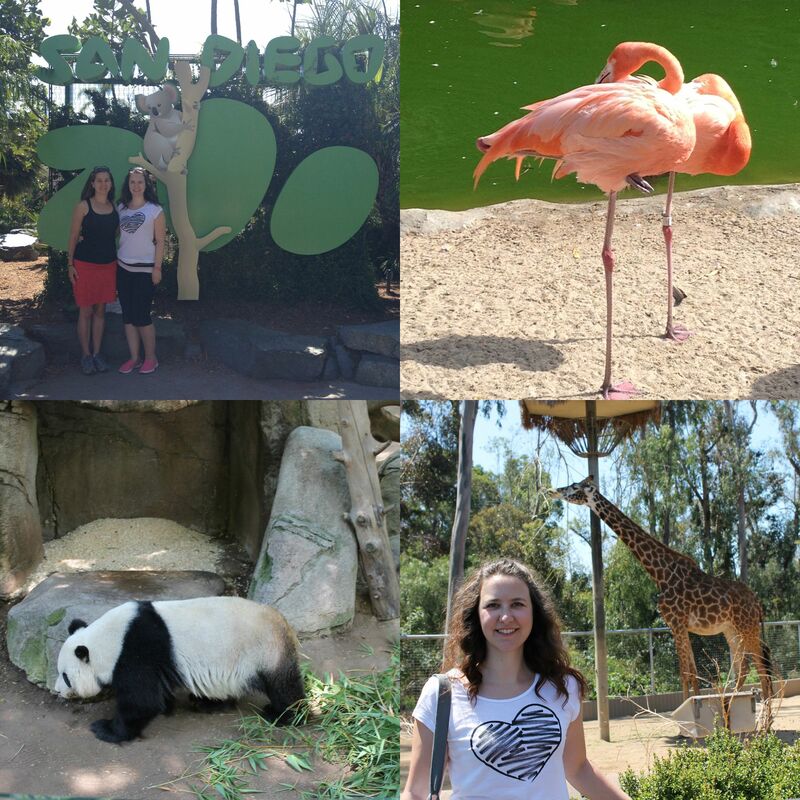 We also saw elephants, koalas, pink flamingos and pandas. There were plenty of other animals too. In the evening, we were so exhausted and were wondering what to do. We didn’t want to go out, but we didn’t want to just hang out around the house either. Someone gave us tickets to an advanced screening of Antman, so we ended up going to the movies! Our first beach day. We went to Pacific beach and it was wonderful. There was quite a bit more seaweed than I would have liked, but it was the ocean, so I’m not really complaining. We had Mexican food for lunch, ate gelato and relaxed in the sun. It was a perfect day. 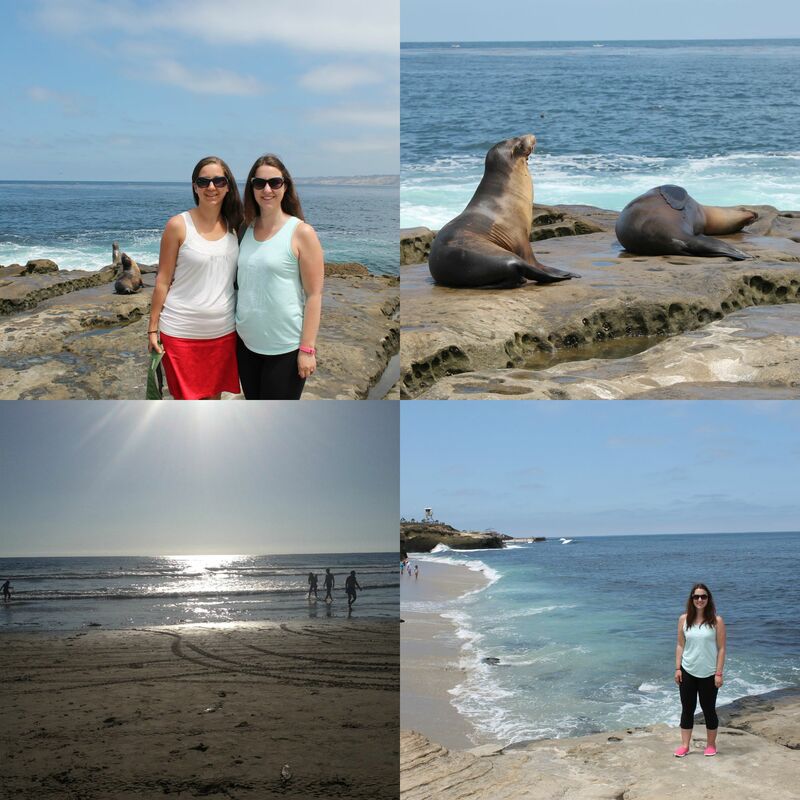 We took a trip to La Jolla to see the seals. They just lay out on the rocks, sunning themselves and pay no attention whatsoever to the people walking around them taking pictures. It was surreal to get so close to them. Also, they smell really bad. After lunch we left the cove and went to the beach. Less seaweed this time. I bought a hat and it made me feel fabulous. 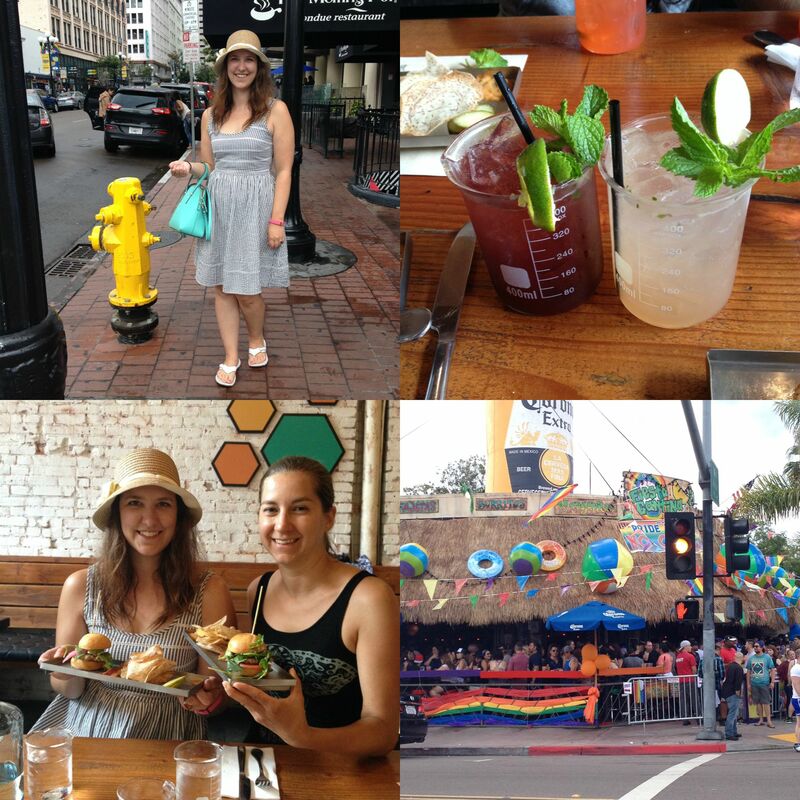 Before we left, we booked a culinary walking tour of downtown for day 5. What we didn’t know was that it was the Pride parade, right in our neighbourhood! We missed the parade, but still saw plenty of colour and partying going on. Also, strangely enough, it rained! There was a huge thunderstorm, which is very unusual for San Diego. The end of our tour got canceled, so we got to go on another one the next day. 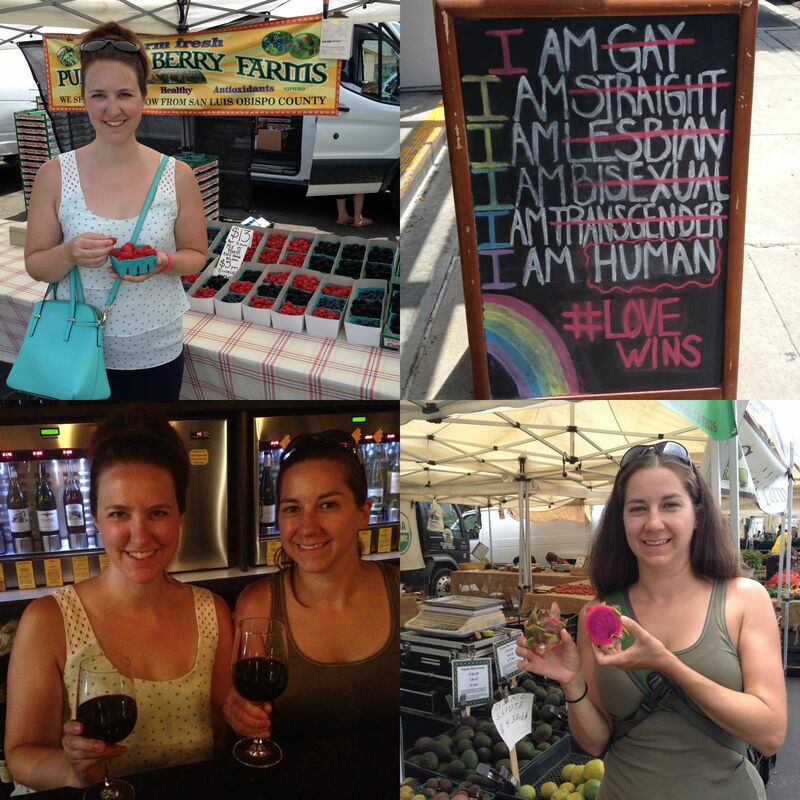 We started the day off at the Hillcrest farmer’s market. It was so cool to see people selling food they grow themselves, and there was definitely a different variety than what we have at home. On the way, I stopped at an atm, and it was covered in glitter! The Pride festivities were still going strong. After the market, we headed to North Park for our second culinary walking tour. There was wine. Bliss. 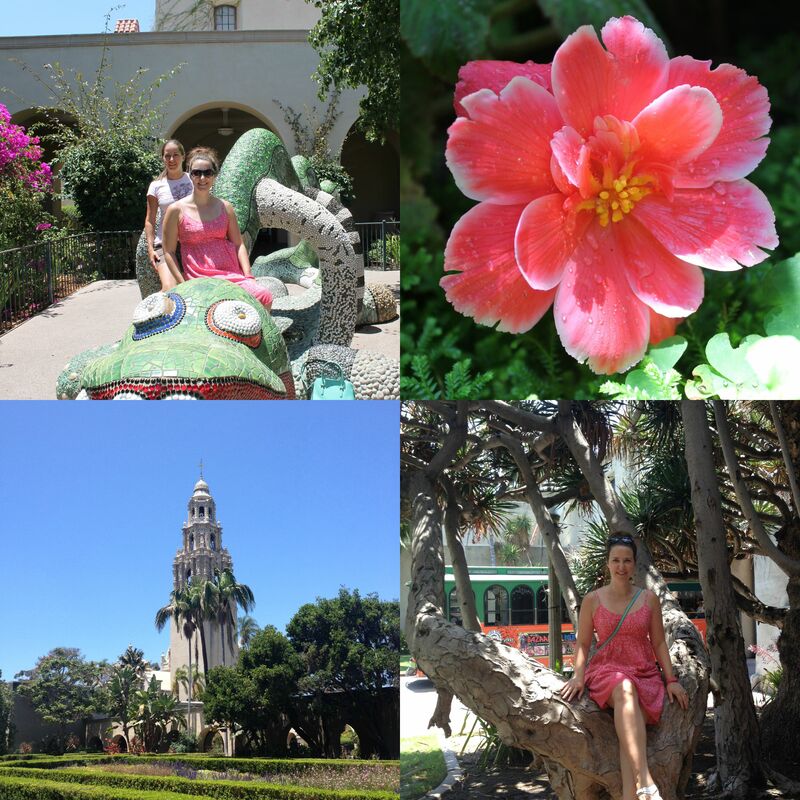 Our last day was spent in Balboa Park. There are lots of museums in the park, but we wanted to enjoy our last day of beautiful San Diego weather outdoors. We visited the botanical garden, the rose garden and the desert garden. We had to leave in the afternoon to make our flight, but it was the perfect last day in this amazing city. I loved San Diego and I would definitely go back. I enjoy spending a whole week in one city, because it gives me a better feel for a place and I don’t have to pick one or two things to see, I can do it all (almost).